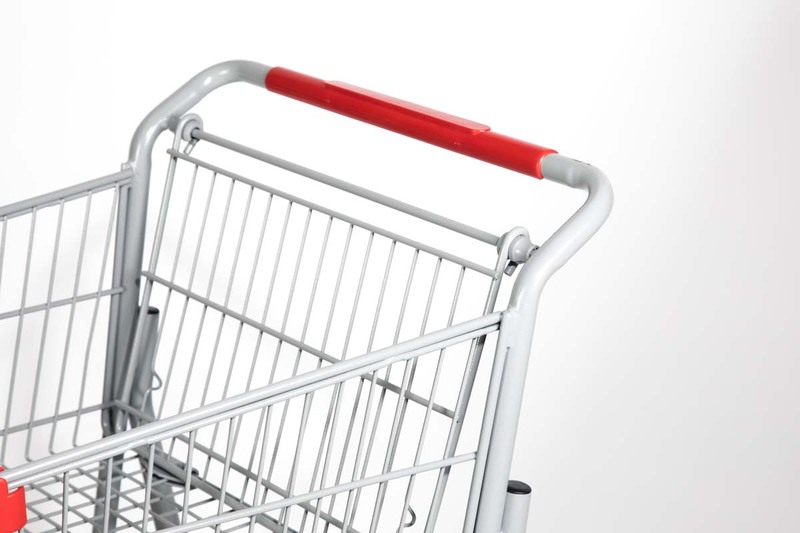 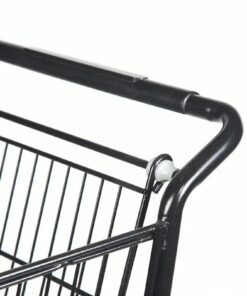 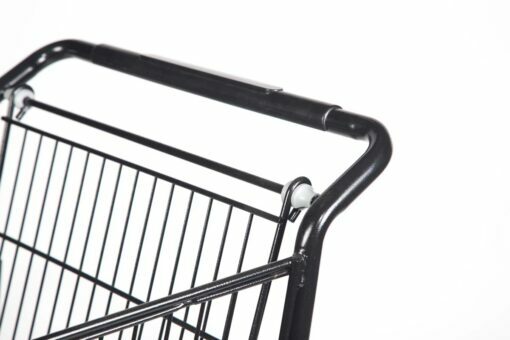 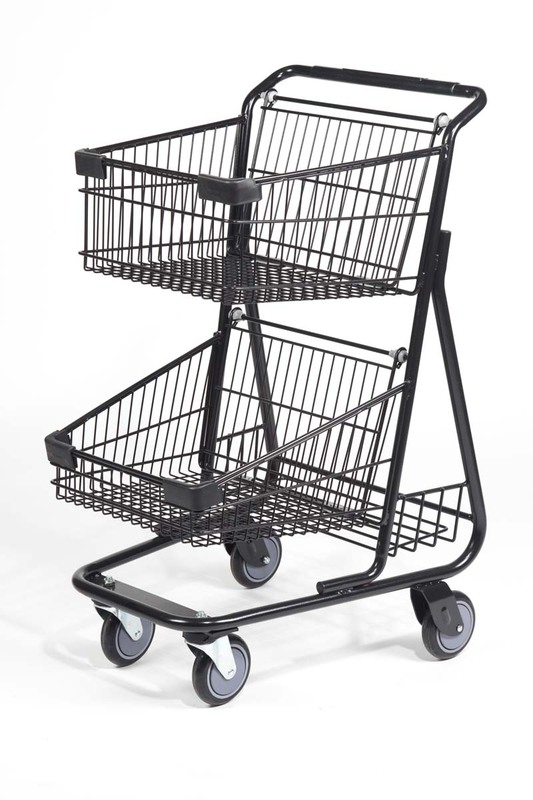 Customize the shopping experience with our Urban Double Basket Cart. 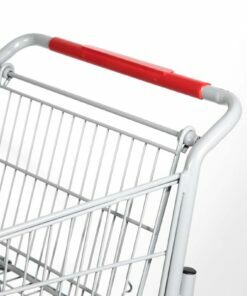 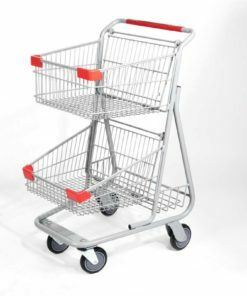 Touting double steel baskets finished in a heavy powder coating, the Urban Double Basket Cart design optimizes storage capacity, efficiency, and user mobility. 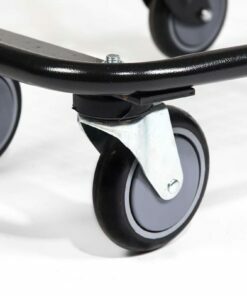 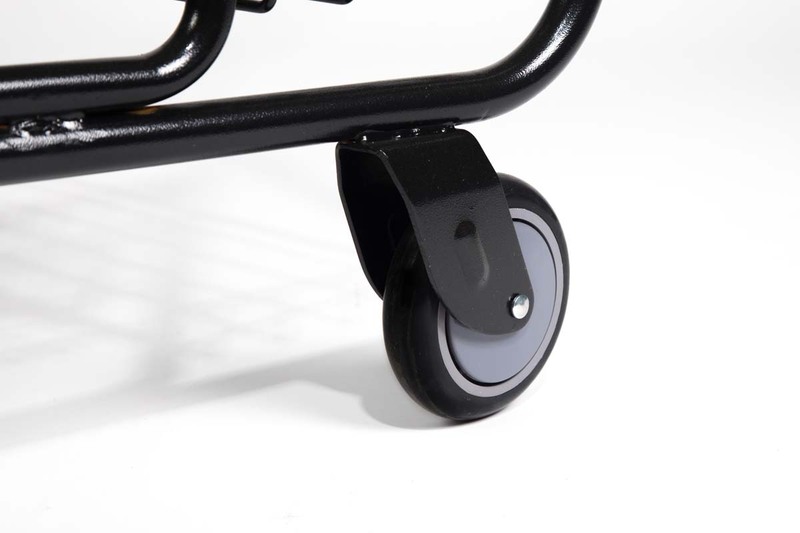 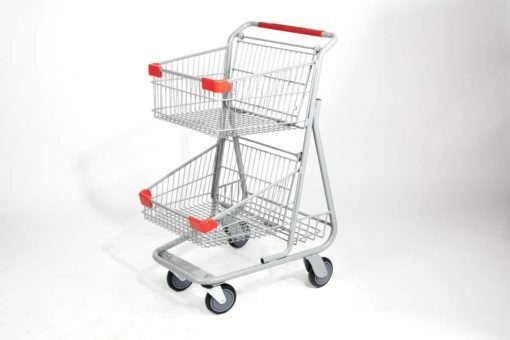 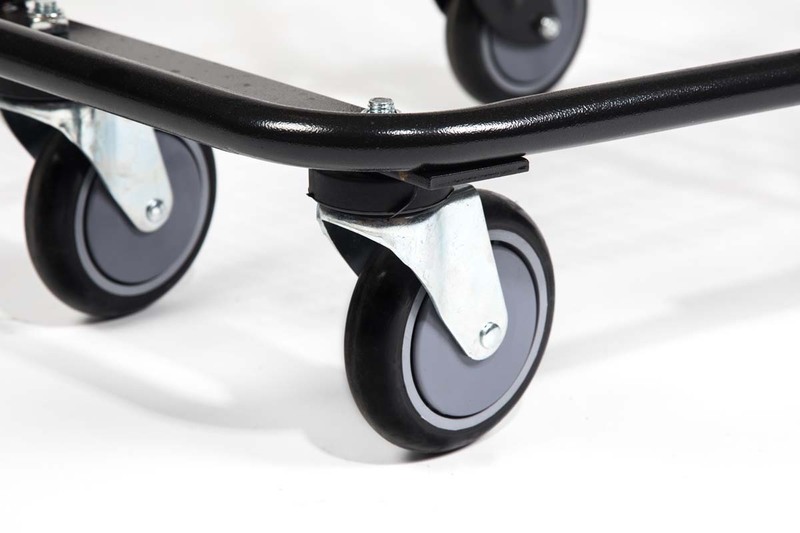 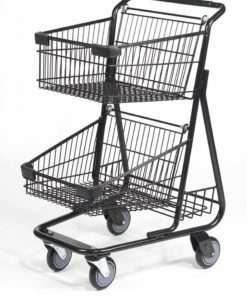 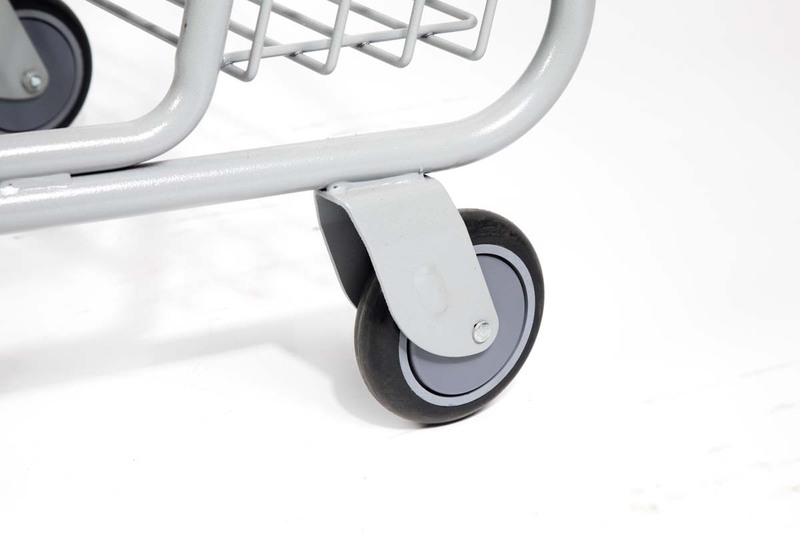 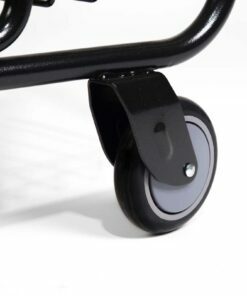 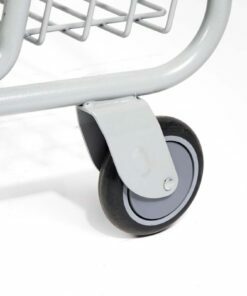 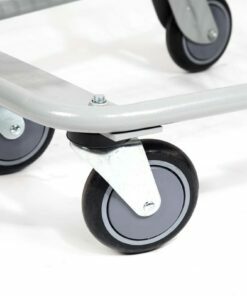 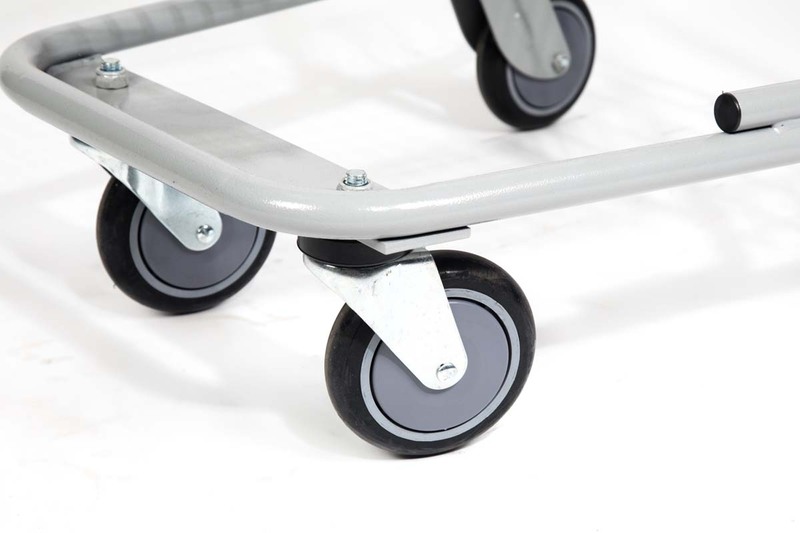 Available in an urban gray or black finish, this model not only accommodates customers but can also by employees to transport merchandise throughout the building with ease.